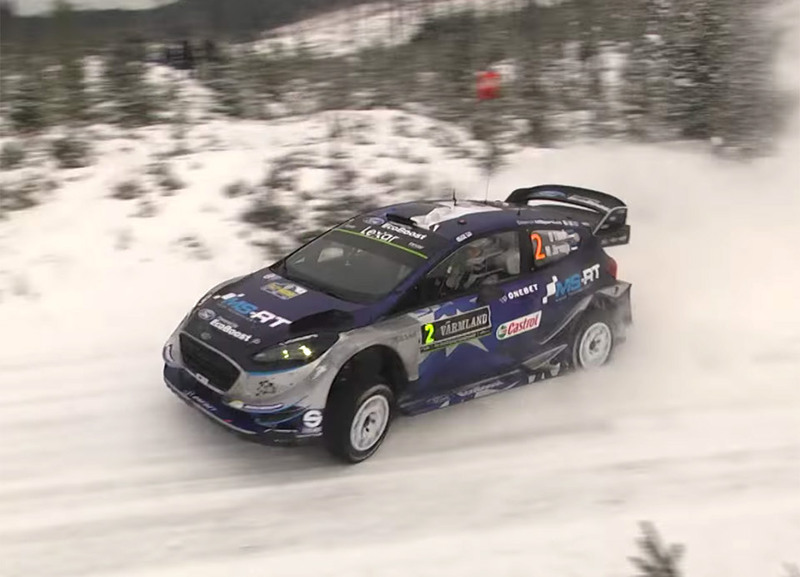 A few days back, a World Rally Championship race was held in in Sweden, and during a run of the Rally Sweden Knon, stage racer Ott Tanak went so fast in his M-Sport Ford, that the second lap of the stage was scrapped. Yeah, a dude drove so fast at a RACE they cancelled the race. Tanak absolutely busted the stage with an AVERAGE speed of 85.62 mph. This was the first time the stage was run and it was so fast that the FIA is considering speed limits. The race governing organization is considering a speed limit that would hold racers to an 80 mph average speed to reduce the danger to drivers and spectators. Keep in mind that this is the series where insane fans literally stand on the track and sometimes add their own obstacles for cars to jump. I wonder what speed limits will do to the series if enforced. I’d love to see a POV video of the record run, but sadly I can find none.